How to write Self Description in SSB and its importance? The self description is last test conducted in series of psychology in which you can write about yourself in form of appraisal. It is called as sword in your hands via which you can win your war. This act as tool for psychologists through which he/she gets to know about your personality which is known to you and which you let others know about this. Here candidates are requested to write about themselves which they feel god in them and bad in them. In this universe everyone is blessed with some strengths and weaknesses. It totally depends upon us how do we utilize them and how we use them to improve in our life. 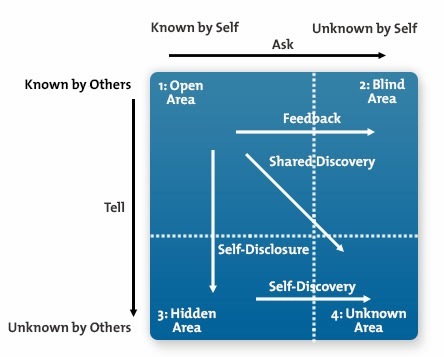 Let’s understand this concept with the help of johari window. 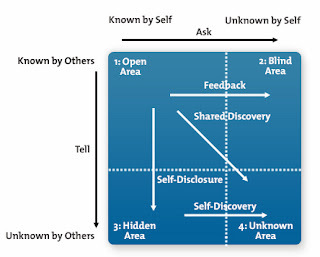 The Johari window is a technique created by Joseph Luft and Harrington Ingham in 1955. In the United States, used to help people better understand their relationship with self and others. OPEN AREA: This is area which is known to you and others. This is most open area which always remains open. HIDDEN AREA: This is area which is known to you but not to others. One never wants to disclose this area to others. BLIND SPOT: These represent information that the subject is not aware of, but others are, and they can decide whether and how to inform the individual about these "blind spots". UNKNOWN: This is area which is neither known to you nor to others. The moment when you will start getting aware of this portion you will be coming near to yourself which is called as self knowing. What your parents think about you? What your friends/ colleagues think about you? What your teachers/boss think about you? What you think about yourself? Where you see yourself in future (things which you want to improve in future)? Try to mention your good points in highlighted manner. Don’t waste your time in describing about your birth place birth date etc. Your stress must try on areas which assessors are interested in which means it should reflect some personality traits. Give accurate information which must be part of your personality and for this self introspection is must. Don’t feel bad about writing your weak points but remember that you must be having scope of improvement. Always prepare in advance or at least practice it once. You have drawn your image in WAT, TAT, SRT so remember that psychologist use all this to reconfirm about your personality. Your self description can also be used by interviewing officer. So don’t try to bluff, better write what you are.